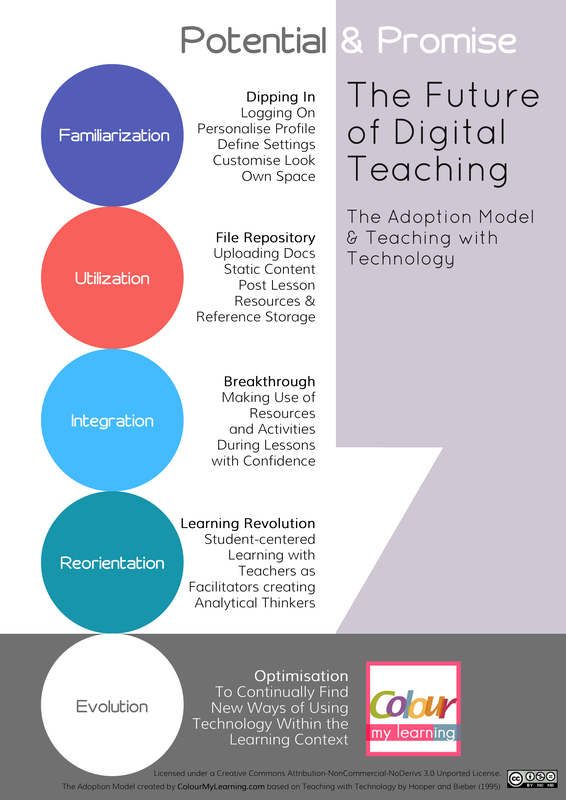 The Adoption Model below looks at the 5 stages of Teaching with Technology and the Future of Digital Teaching. Evolution: Optimisation – To continually find technology within the learning context. Feel free to share the graphics while observing the license defined below. Download your high resolution A4 copy for print here (Approx. 1.4MB). Adoption Model – Teaching with Technology by CML is licensed under a Creative Commons Attribution-NonCommercial-NoDerivs 3.0 Unported License. Based on a work at www.colourmylearning.com. Leave your phone number in the contact form.